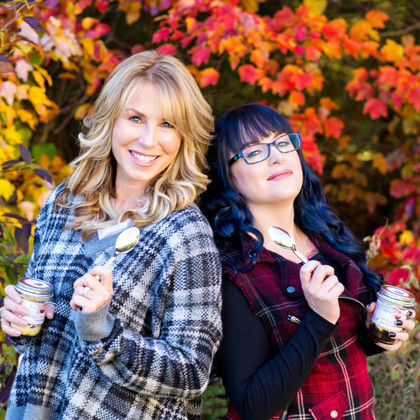 Tracey and Dani's story of how they built a national brand from their kitchen is nothing short of amazing and is an inspiration to anyone who's had a dream. Their geniune, funny and often heartbreaking tales will leave you on the edge of your set. Tracey describes their journey together as "A mother and daughter building a national brand in spite of themselves". Tracey and Dani have appeared on ABC’s Good Morning America, 20/20, the Kris Jenner Show, the Meredith Vieira Show, CNBC’s Squawk Box, StartUp USA, Food Factory, QVC and ABC’s latest hit, Beyond the Tank. They can be heard frequently on Boston radio and speak across the country on topics ranging from starting a business from nothing, to what it's like to build a family business. Tracey was a Finalist in the prestigious Ernst and Young Entrepreneur of the Year competition in 2015 and 2016 and was nominated again for 2017. Tracey also mentors MBA students for Babson College’s Innovative WIN Lab. Wicked Good Cupcakes, Inc was ranked #9 in the 50 fastest growing privately owned companies in MA this past April, 2016, and was listed in the INC 5000 as the 511th fastest growing private company in the US by INC Magazine in 2016. As if they weren't busy enough, they are in the process of launching a franchise truck program that is scheduled to roll out in late 2017.